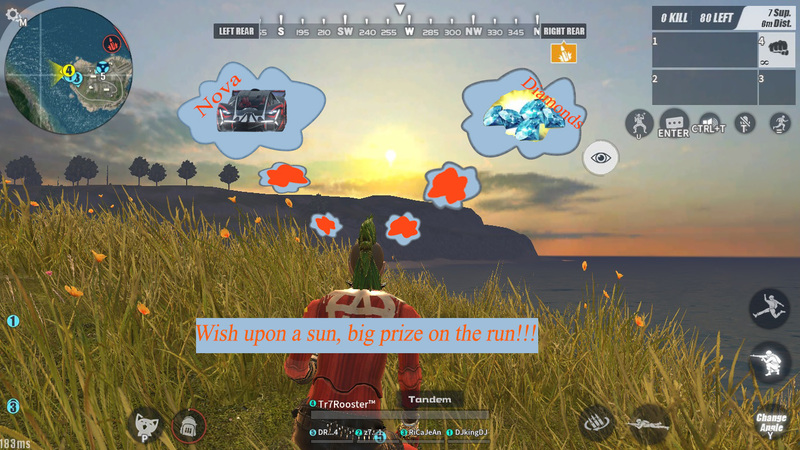 Rules of survival»Game Forum › Discussion Area › ROS Christmas Wish › Long Live RoS, Long Live Legit Players!!! Long Live RoS, Long Live Legit Players!!! Wish: I wish that i will win this event and get the Nova or maybe 6k Diamonds as a gift this christmas. I played this game with ups and down but I don't even think to use any means that will harm my accounts in the future or to ruins the happiness of my life including this game. I've always encouraged and endorsed to my friends to play this game. I only have one request ;ROS please survive because there's alot of us as legit gamers still exists and we continue to exists , I/we will support you in the ups and down. To make my message short, I've didn't mind if there is an issues in the game because i know it someday that in the bright side it will be solve and even in a very small light I will treasure it and give importance to it. ROS always my life, bring the smile of my face that I have to forget for awhile even the problems that I have, I know everyone experienced it also live a life with a mixtures of happiness and problems and thanks to NeatEase for bringing up ROS our happiness!!! Nice 1 ! Cool and Very Well Detailed Post GoodLuck My Friend ! Same to you my friend have a wonderful holidays. What you've said is all true then i give you my support but to tell neatease or ROS to survive is what i've disagreed because its year already they cannot bring this game into fairness. I don't lose hope its clearly on my post why but thanks for the support. OK whatever , btw the device banned really works im glad if the PC platform affected by it also. Only mobile come-on RoS make it happened to all device with network access including Network Card , Built-in MOBO network, Router, Modem thats all that make it possible to connect to ROS server!!! your Hope dude maybe or maybe not come true well stay tune for more updates from them. I may say so now there is a little light in your hope.